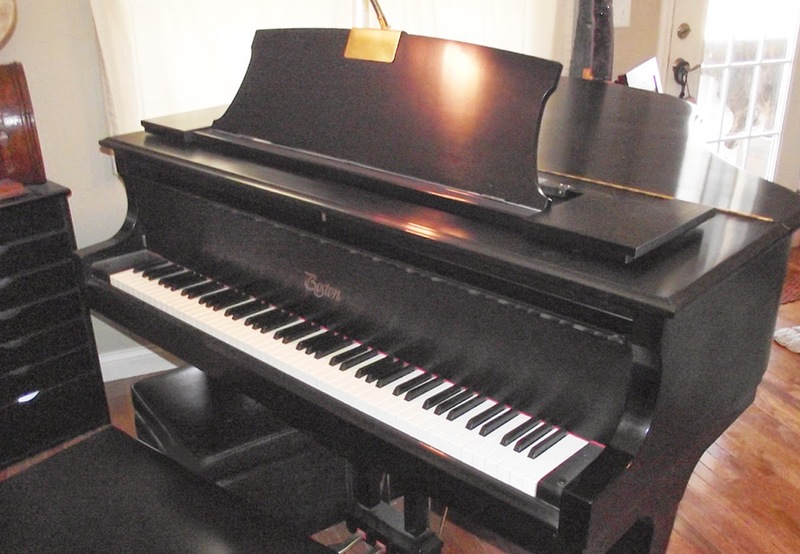 This beautiful Boston grand piano, Model GP163, was designed by Steinway & Sons and is currently for sale by a customers of ours in the Edwardsville, Illinois, area. It is priced to sell. The piano has been under the care of only one owner and is in immaculate condition. If you own a piano and need it serviced, or need advice on purchasing or selling one, you've come to the right place. Rensberry Piano Service is based in Edwardsville, Illinois, and covers the St. Louis region along with many communities throughout southwestern and central Illinois. Please contact us by phone, mail or e-mail if you have any questions at all or wish to schedule an appointment.